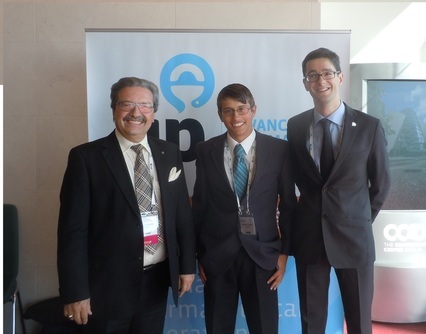 Left to Right: Dr. Buchmann (FIP President), Matthew, and Luc Besançon (FIP General Secretary & CEO). FIP World Congress of 2013 in Dublin, Ireland. ​Since 2013, I have had the pleasure of working on The Prescription Architect: a global community service project. In concert with the International Pharmaceutical Federation, I engineered this Java standalone program to relay medication instructions via multiple modalities. My system utilizes SQL stored translations, orations, and pictograms to reduce patient dosing errors. Some of my work has been voluntary and some have been under independant contract. If you would like to learn about this project in greater detail, you can view my paper here. Assorted publications on this project are available here.